The plaintiffs’ bar has long sought to impose duties under state law on doctors and manufacturers anytime there is an off-label use of a medical device. In Riegel v. Medtronic, the Supreme Court held that states may provide a damages remedy for any claims that “parallel” federal requirements, so long as such an award does not interfere with the federal regulatory scheme. In a case that will be of keen interest to the medical device industry, the Ninth Circuit recently ruled that such common law claims for off-label use against the manufacturer of a pre-market approved (PMA) medical device are impliedly preempted. In Perez v. Nidek Corp., a putative class action plaintiff filed suit on behalf of patients who received LASIK surgery for farsightedness between 1996 and 2006. 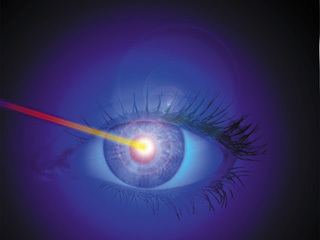 Plaintiffs sued a group of eye surgeons and Nidek Co. Ltd., the manufacturer of a PMA surgical laser, for allegedly failing to inform patients that the laser used to perform their surgery was not specifically approved to treat far-sightedness. (Nidek had provided the surgeons with replacement chips, which would modify the lasers to treat farsightedness).